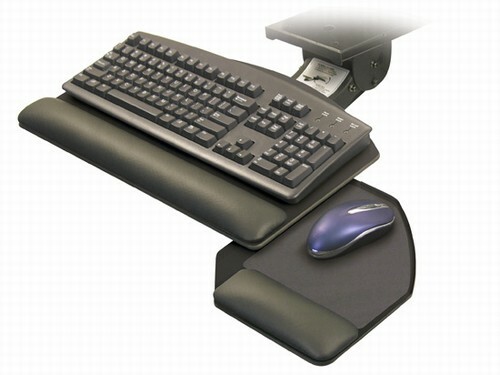 The Keyboard Solution 3, Swivel Mouse Platform-Solution3 from ESI-ESISolution3, features an 18.75" platform with right or left swing. It provides wrist support on mousing surface. Includes mouse pad, mouse guards, cord management clip and detachable palm rest. Includes mouse pad, mouse guards, cord management clip and detachable palm rest.